Rita Farm & Winery, owned and operated by a married couple in Hokkaido, specializes in brewing white wines. 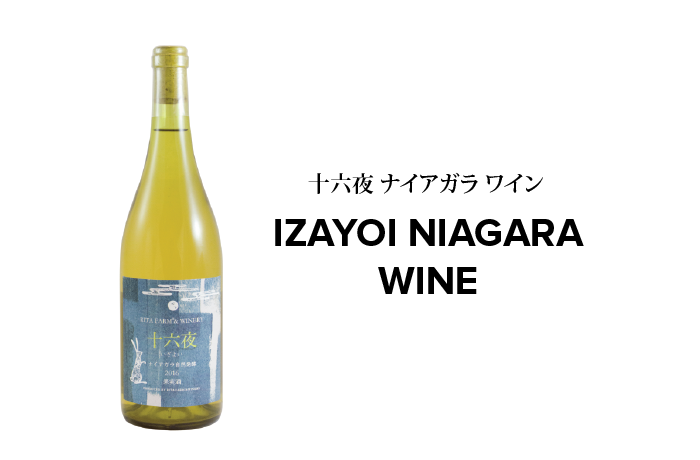 Introducing Izayoi Niagara Wine, a white wine made with Niagara –a grape variety which originated in Niagara County in New York. Slowly fermented with wild yeast, this delicate wine has highly fragrant musky fruity notes and balanced acidity.